Details matter when it comes to using a testosterone replacement therapy (TRT) program. They can make a real difference in the results that you’ll achieve and they are important to using TRT safely. 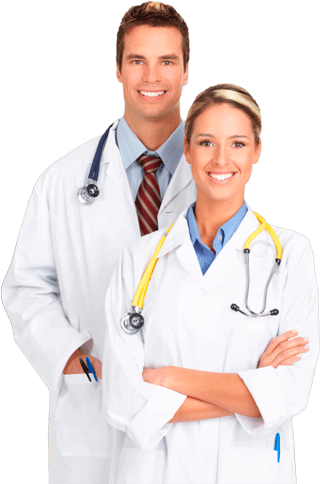 So when our doctors are asked questions such as do you need to refrigerate testosterone enanthate, we make sure that the adults who are asking them get accurate and clearly explained answers to them. As TRT specialists, we feel that it is our responsibility that all of the questions we are asked about using doctor prescribed treatment for Low T receive up-to-date and medically correct answers, regardless of whether they are being asked by our own patients or by adults who are simply looking for general information about this form of treatment. Most TRT programs are self-administered by the patients who are going to be using them, so it is essential for users to get the details right. In using the injectable form of treatment, versus one of the topically applied forms, those details will include preparing your injections correctly before administering them, making it necessary to know things like do you have to refrigerate testosterone enanthate vials once you have purchased them from a pharmacy? The answer to this particular question is no, you don’t have to keep these treatments in your refrigerator. You will want to keep them out of direct sunlight and away from heat; but unless your home environment is unusually hot, there is no need to refrigerate them and it is better not to. Refrigerating your testosterone enanthate solution is likely to cause it to become cloudy and/or crystalize and while this won’t effect the molecular composition of this substance, it will require being heated up to dissolve any crystallization that has occurred before injecting it. (Injecting a solution that contains crystals can be quite painful – and it would require using a much large needle.) So storing your testosterone enanthate solution in the refrigerator to preserve its biochemical integrity might seem like a sensible idea, especially if you life in a tropical climate. But it is generally not necessary, and is only going to add the step of warming it up before using it – so keeping your treatment at room temperature, away from heat sources and direct sunlight, is fine. Why Should You Rotate Your Testosterone Injection Sites? Following the recommended protocols when using injectable testosterone treatments will provide you with a more successful and more comfortable therapeutic experience. There is more to these protocols than knowing the answer to do you have to refrigerate testosterone enanthate; it is also very important to understand how to administer your injections correctly. So it is worthwhile to explore how this is done. Even before you begin preparing your treatment prior to injecting it, you will need to choose an injection site. For intramuscular injections, the sites that TRT doctors typically recommend to their patients are the thigh (vastus lateralis) muscles; the hip and buttock (ventrogluteal) muscles; and the arm (deltoid) muscles. It will ease the administration of your injection if you take a hot shower or bath just prior to using them; this warms and relaxes your muscles. It is also a good idea to warm your vial of testosterone enanthate solution to at least room temperature before attempting to inject it; this can quickly be done by running it under hot water or even holding it tightly in your hand for a minute or two. If you ignore the answer to do you have to refrigerate testosterone enanthate, it will be mandatory for you to warm your solution before attempting to administer your treatment for the reasons that we have already alluded to. Rotating your injection sites is essential if you want to avoid the build-up of scar tissues, which can occur if the same site is always used. Using the same site over and over can also cause unnecessary pain and discomfort; patients are usually advised by their doctors to change their injection sites if not every time, then at least every few weeks. Since the dosages used in injectable TRT treatment programs are individually prescribed by doctors for each patient, the frequency with which you will be required to inject your treatments will be a factor in how often to change your injection site. So never hesitate for ask for individual advice from your doctor on minimizing your discomfort by using the medically correct protocols. The TRT doctors and clinical advisors at Nexel Medical are always available to explain how, when, where, and why any particular TRT protocol has been recommended to you. Taken in total, following all of the proper protocols will greatly enhance your treatment program’s successful outcome. Are Enanthate and Cypionate Two Different Testosterone Types? While they each have a different chemical composition, the enanthate and cypionate formulations of pharmaceutical testosterone are very similar in many ways. For example, the answer to do you need to refrigerate testosterone enanthate would also apply to the cypionate form and for the very same reasons. The primary difference between them is that cypionate has a slightly longer half-life than enanthate, which makes it last slightly longer with the systems of the patients who use it – so those who use the enanthate form may find themselves injecting their treatments marginally more often than those using cypionate. In terms of the results that these two forms of testosterone provide to TRT patients, those are also very similar. However, don’t assume that is a good idea to use these two forms of treatment interchangeably because it really isn’t. Your TRT program is going to be carefully prescribed for you specifying one form of treatment and your dosage instructions, which are essential for you to consistently adhere to, will pertain to that form only. Substituting a form of treatment that is going to either last longer or shorter than the one your doctor has prescribed for you would quickly put you off your recommended schedule of treatments. Another difference between these two forms is often the type of oil that is used in making them into injectable solutions. The type of oil used won’t make a difference in the answer to do you need to refrigerate testosterone enanthate or testosterone cypionate, but some patients seem to find one form more preferable to use than the other for their own individual reasons. If you have decided that you want to use an injectable form of treatment for your Low T symptoms, discuss with your TRT doctor the the type of form that they would recommend to you and why. Testosterone replacement therapy is a long-term commitment so it is going to be important for you to feel that you are using the type of treatment that will best meet your therapeutic requirements and goals. At Nexel Medical, we believe that all of the questions that adults have about using testosterone replacement therapy are valid and deserve to be answered respectfully. Whether people have questions about the proper storage of treatments such as do you have to refrigerate testosterone enanthate, or want to know if a TRT program would be safe for them to use, our doctors and clinical advisors are always happy to provide accurate and helpful answers to any question, or series of questions, that adults have about using treatment for their Low T symptoms. And not only do we provide reliable information on using hormone replacement therapy for Low T to adults; we can also provide them with solutions. If you, like many men in the US, have been considering the use of TRT but are not sure how or where to start the process for treatment, Nexel Medical can assist you with that as well. Our doctors have created an innovative solution for providing you with locally based Low T therapy procedures – your blood testing and medical exam – that make it simple and convenient for you to get started on a medically prescribed treatment program that will be both very effective and very safe for you to use. And you will not be required to leave your own local area or disrupt your schedule; you can call us or email us to get underway as easily as you can call or email us for answers to your questions. You can even accomplish both of these things in the same phone call to us. One of our clinical advisors can schedule your local testing and exam just as soon as you contact us and request it. So if you have been waiting for the right opportunity to come along and make it completely hassle-free for you to get medically supervised hormone replacement therapy for your troublesome and unhealthy Low T symptoms, this is it. You will even be able to purchase your prescribed treatments from our online pharmacy; they will be promptly and securely shipped and delivered to you at either your home or office address. What could be easier for you than that?